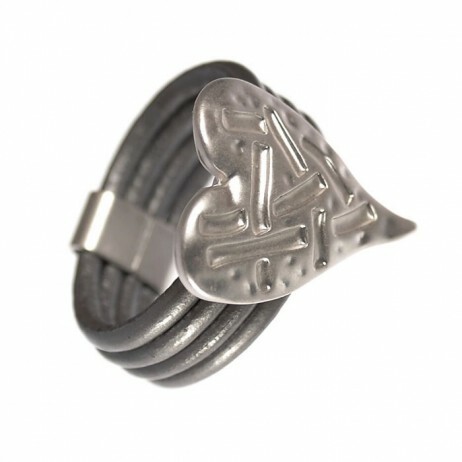 A gorgeous grey leather ring design with silver heart by Hot Tomato Jewellery. 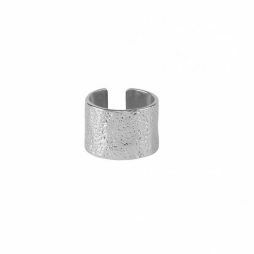 This modern chunky ring is finished with a silver textured ring. Both lightweight and versatile this ring can be worn to dress up any outfit. 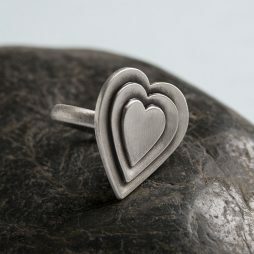 A gorgeous grey leather ring design with silver heart by Hot Tomato Jewellery. This modern chunky ring is finished with a silver textured heart. Both lightweight and versatile this ring can be worn to dress up any outfit. Measurements: Inside diameter – Large (19mm, 1.9cm), Medium (18mm, 1.8cm) and small (17mm, 1.7cm). Your Hot Tomato Jewellery Silver Grey Heart Ring will arrive beautifully presented wrapped in hot pink tissue inside a lovely grey organza Hot Tomato pouch for the perfect gift. Gifts £0 To £20, Hot Tomato, Chunky Jewellery, Rings.